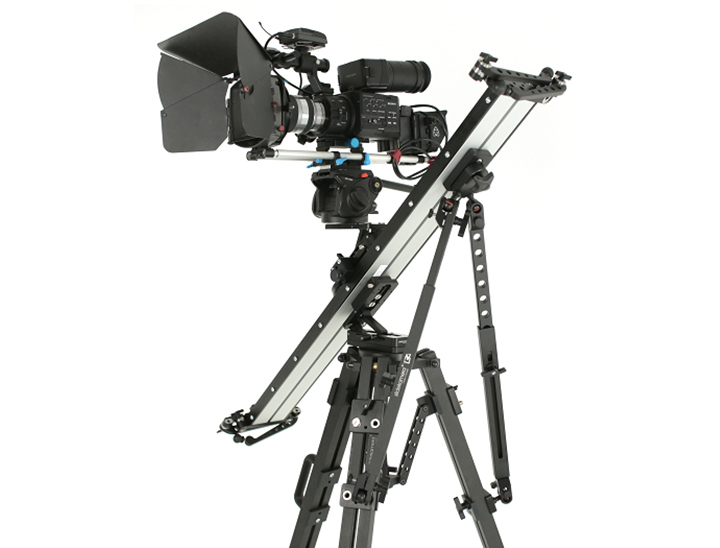 Suitable for medium weight cameras and DSLR of a total weight up to 20kg. Available lengths: 800mm, 1000mm, 1500mm. Number of mounting holes guarantee universality of our device and provide the user with great configuration possibilities. It is also equipped with a level and a standstill brake (BRAKE X SLIDER). There is a possibility to remove the standstill brake and mount other accessories instead, for example electric drive. Three bearinged rollers move along a specially designed aluminium rail. 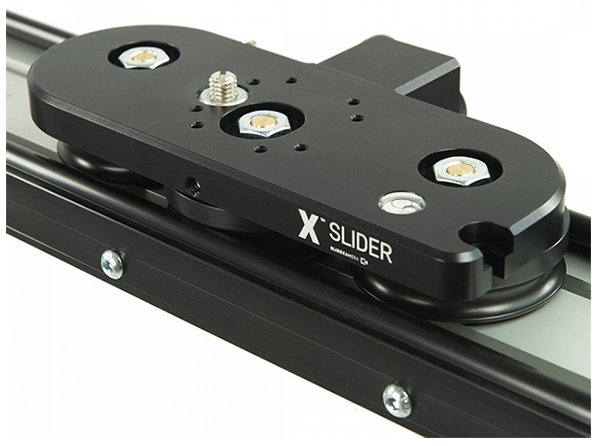 SMART BRAKE X SLIDER is equipped with 2 marked knobs. One of them is used to completely stop of the cart - PARKING BRAKE and second one is used to smooth change of the resistance movement of a cart - DAMPING. SMART BRAKE is mounted in same way as normal parking brake (PARKING BRAKE for X SLIDER). Quick Folding System allows to quickly and comfortably unfold and prepare the side feet for work, as well as fold them and prepare for transport. Quick Grip System allows to lock the feet in any height comfortably (thanks to the ball latch). Height adjustment range up to 4cm. Quick Folding System allows to quickly and comfortably unfold and prepare the side feet to work, as well as fold them and prepare for transport. Feet are equipped with two steel joints of high durability and resistance to damage. Adjustable rubber ball-shaped ends assure precise positioning of the slider on the ground and protect against slipping. Set of adjustable - clamping knobs allows to adjust the position of side feet in a fast and easy way. Strong construction allows to achieve high rigidity even with payloads up to 30kg. Side feet adjustment range height adjustment range up to 120cm, width adjustment range up to 400mm. SMART EYE allows for automatic continuous tracking of the object by the camera/photocamera during the movement of the cart. Thanks to the SMART EYE the object that is being filmed remains all the time in the centre of the frame. 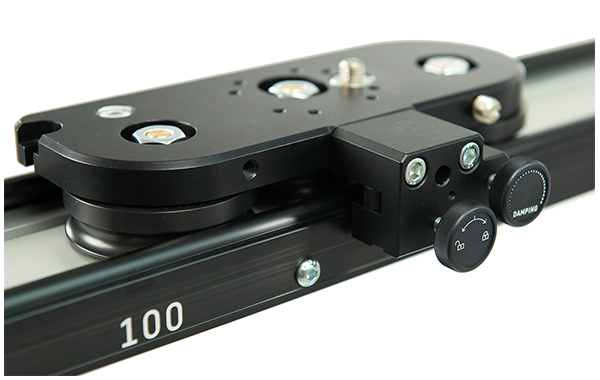 X MOTOR 40 drive for the X SLIDER is perfect for both live action and stop motion shots. HDN DC Drive, dedicated for Slidekamera devices, is equipment specially designed for smooth shots in motion ranging from 2mm/s to 55mm/s as well as Timelapse photos. Quiet operation reduces the noises to the minimum on the recorded material. Additionaly, the device is very light, its weight does not exceeds 1kg. 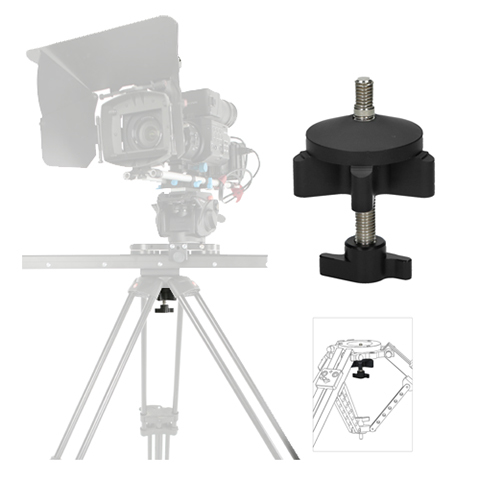 DFor quick and stable mounting of sliders on tripods equipped with sockets that fit half balls up to 150mm it is recommended to use universal screw Slidekamera 3/8"
The mount can be used with most of the tripods available on the market what provides maximum universality of our product. 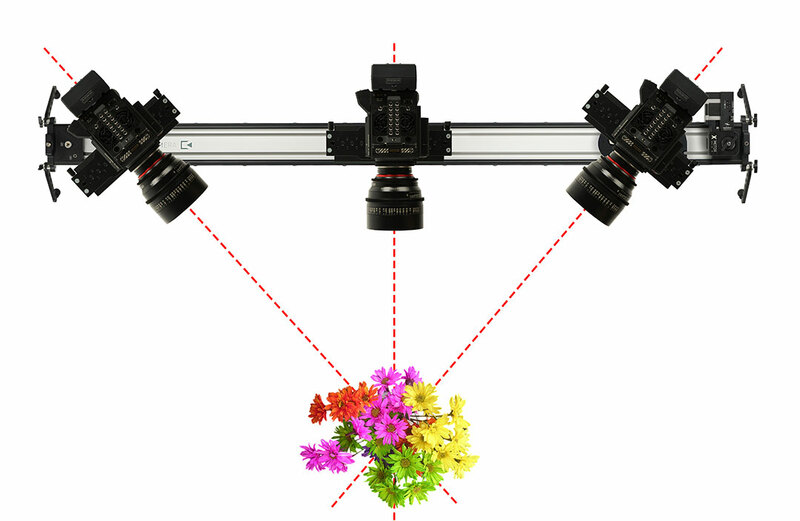 Fast, safe and reliable mounting of a slider or a camera in horizontal and vertical position within the angular range of 90°. 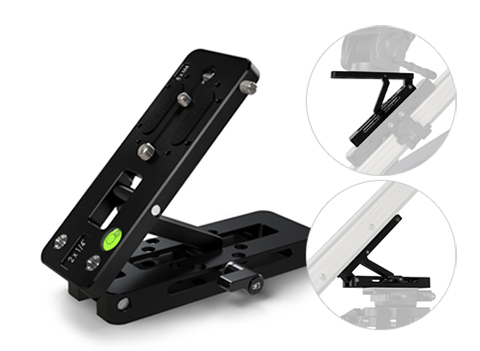 DUAL SUPPORT for sliders provides additional support for a slider mounted on a tripod (horizontally, vertically or at any desireable angle). 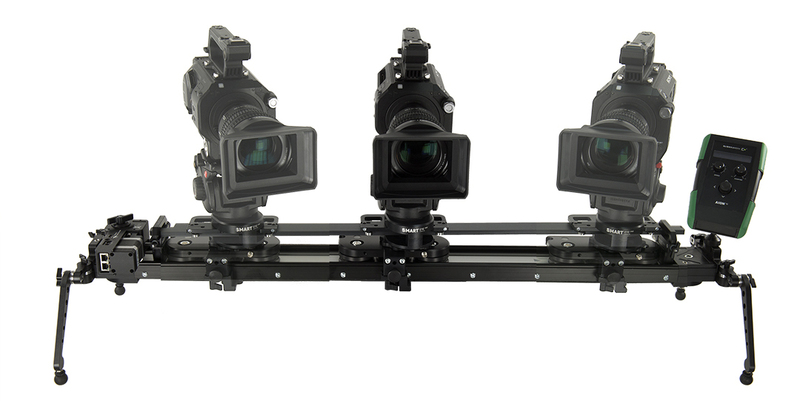 AF-8 SH - lower port (mounting plate) with 3/8 "and 1/4" holes allows to mount the slider directly on a tripod or on a video head.